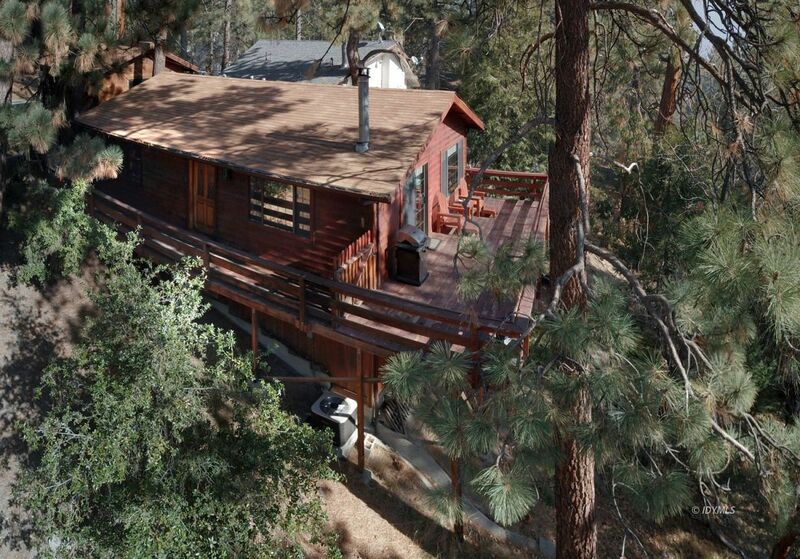 This wonderful cabin is well appointed with 2 bedrooms, one full bath, has been recently remodeled. Newer stainless appliances, high end quartz counter-tops in the kitchen, and genuine hardwood floors, add to the beauty of this home. The open living room, kitchen, make for an easy flow, with free standing wood burning fire place to keep warm and create an ambiance of memories. Sliding door lead to expansive treetop view, and marvelous sunsets. Newer composition roof on both home and garage, installed 12/2018. One car detached garage, laundry under the home that can be finished for a bonus room. Please contact listing agent for proof of 12 year plus rental history. Check with agent to see if property is rented, before showing.